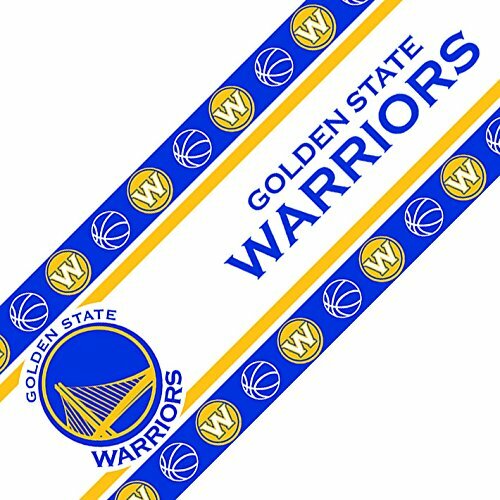 NBA golden St. Warriors wall border Warriors , wall border is vinyl peel-and-stick and packaged in rolls of 5 inch H x 15'l. Wash with mild soap and water. Made in China. WinCraft NBA 03818115 Golden State Warriors Premium Pennant, 12" X 30"
NBA Miami Heat Lanyard with Detachable Buckle, 3/4"
Trademark Gameroom NBA Chrome Double Ring Neon Clock, 14"